“The best way to handle the madness that is publishing is to join a gang.” What do you think? Interesting writing advice. When I read this in an article about writing advice, I nodded my head, smiling. Because I am in a gang! I am part of a gang of other writers. When I sit down to write my blog, content for small businesses, or more of my memoir, I do this alone. But then, I take my work to my fellow writers and we read, edit, comment, praise, and enjoy each other’s words. So far, our group has celebrated small publications and some big time, real deal books. I cherish my gang. They are a gift. How did I find them? By taking a writing class. I read about the class on the blogs of the two giving the class, authors/writers Louise Plummer and Ann Cannon. I read it on my phone, standing in my parent’s cabin in Midway and I immediately asked my husband what he thought about it. It was a weekly class for a couple of months so that meant I wouldn’t be around for Thursday bedtimes for a while with our toddler. And my husband was supportive. Yes! I married a good one. At the time, I wrote for fun. I had my personal blog and that was pretty much it. I worked full time as a Business Systems Analyst, paying the bills at the time while my husband was in school to earn his master’s and “working” for free as an administrative intern in a nearby school district. The class was amazing because of the others that I met there. Some had published writing, one had published books, others wrote blogs, and a few just took the class to stretch themselves. And we learned that we loved being together, sharing our writing and our stories, so as the class finished, we turned to email to coordinate a monthly get together. That was two years ago and we haven’t missed a month yet. We’ve celebrated a book launch, we’ve gone on a retreat, we’ve gone to a writer’s conference (splitting the hotel costs and sharing beds), and we’ve gone through life together, too: death, birth, loss of faith, true joy, and a wedding. 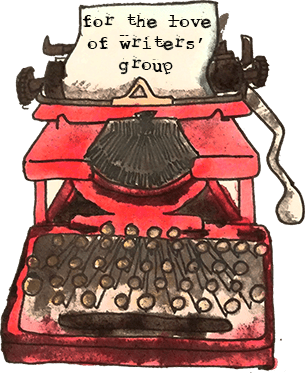 My writing gang is a gift to my life now that I’ve quit the full-time job, chosen to stay home with two small kids, and work on my writing as a means of making money! My writing gang is also a gift to my life in a group of very real friends. So I agree with the writing advice I quoted at the start, but would also add, in addition to handling the madness that is publishing, my gang is also the best way for me to handle the madness that is LIFE. ← What’s killing your ability to focus? I love our gang. I need our gang. And don’t know how I got so lucky to be in the gang.